HE042W-01D is a high PFC, rugged Plastic enclosure designed for LED lighting(panel lights,downlights etc). This Plastic driver nclosure was made of lightweight but strong plastic housing with a protective black powder-coated finish. It features four 0.20 inch mounting holes for surface mounting and is designed with mounting hole positions to hold compatible power supplies securely. 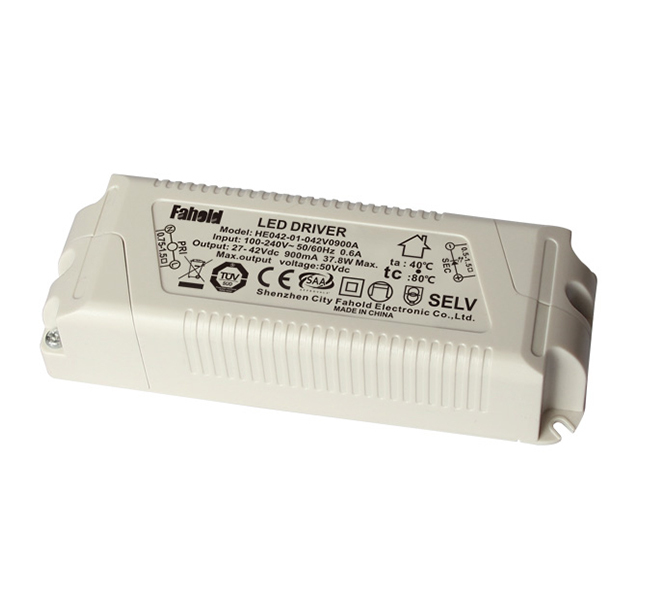 240V input voltage driver, Desigen for high lumen led lights. Europe market application. Energy saving driver independent design for the output connection structure, suitable for Europe market. Looking for ideal TUV Certified Drivers Manufacturer & supplier ? We have a wide selection at great prices to help you get creative. 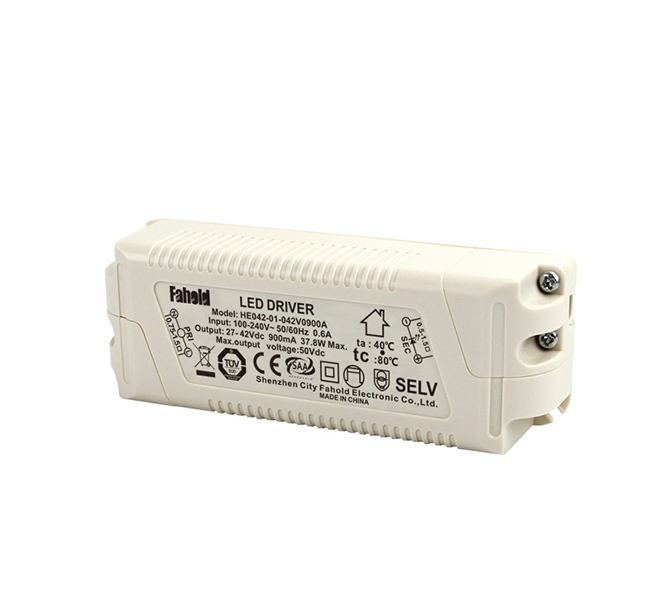 All the Isolated LED Driver are quality guaranteed. 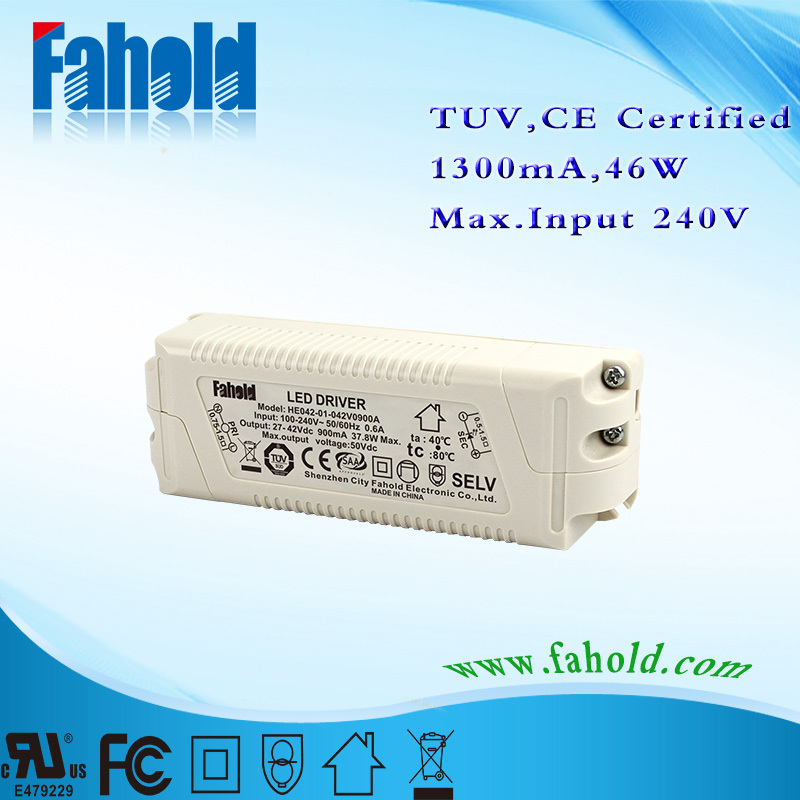 We are China Origin Factory of 240V Input Voltage Driver. If you have any question, please feel free to contact us.